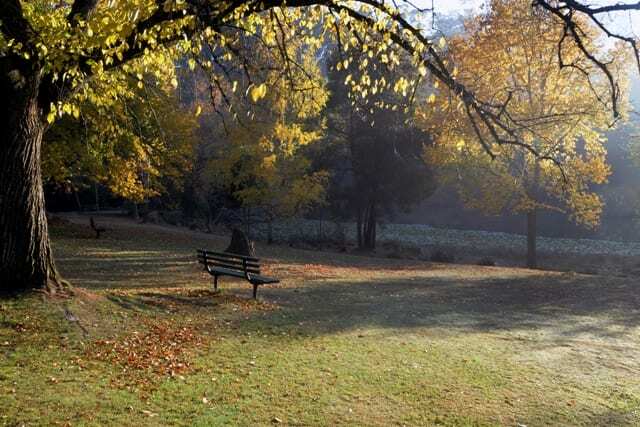 Experience the stunning colours of Autumn in the Hepburn Shire; Clunes, Creswick, Daylesford, Hepburn Springs & Trentham. 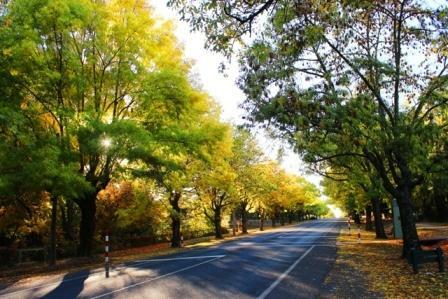 Stroll through the avenues of honour as they change colour, explore botanic gardens & nature reserves. Experience this region after the heat of summer and before the chill of winter sets in, take this time to explore the forests and reserves. 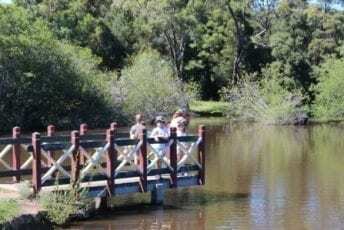 Locals love strolling through the Wombat Hill Botanic Gardens in Daylesford, taking a walk along the Le Gerche Walking Trail in Creswick and through Oak Gully. 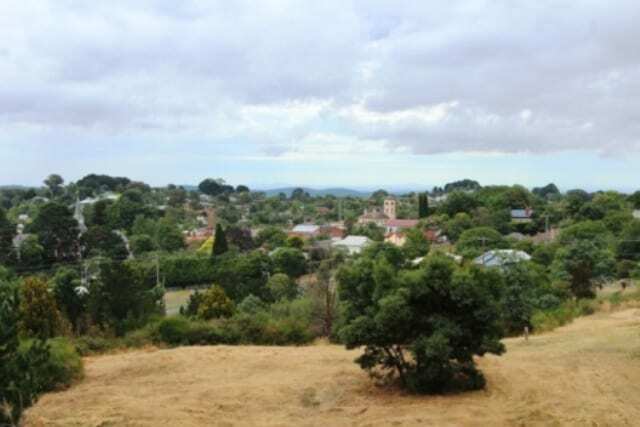 If you are looking for a scenic drive, head to Clunes and experience the views across the township from Clunes Lookout or explore the Wombat Forest surrounding Trentham and take in Trentham Falls after rain. Some of the best views of Daylesford can be had atop Thomas Lookout, which is only a short drive or walk from the town centre. Near the lookout you will find a memorial plaque which remembers the Cornish Miners as well as some lovely walks around this reserve. Collect your free map of Cornish Hill from the Daylesford Visitor Information Centre or download one from the Cornish Hill website. Just minutes drive from the town centre of Daylesford; Jubilee Lake is a quiet and relaxing place to visit. 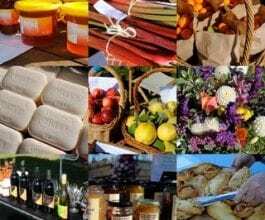 There are a range of activities for all including; BBQ facilities, walking trails, a mineral water spring, canoe and paddle boat hire, a playground, caravan park and kiosk. 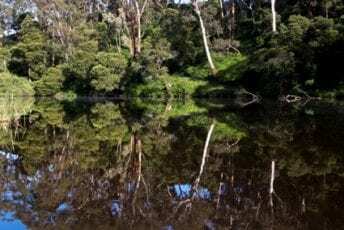 Originally known as ‘Hepburn Goldfields Reservoir’, Jubilee Lake was built to supply water to the local gold mines during the 1860’s gold rush. 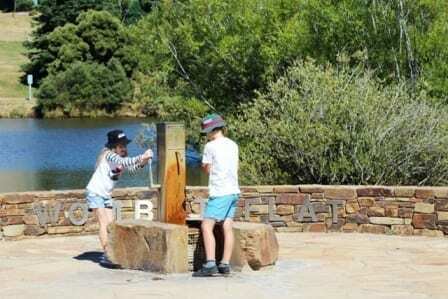 Now a premier, family friendly fishing location stocked regularly with rainbow trout, Jubilee Lake is a must do whilst in the area. Walk the lake circuit and stop at the mineral spring to refresh with some of this areas famous mineral water. 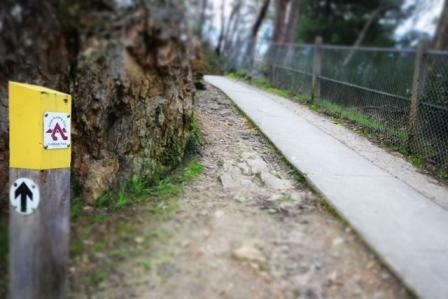 You can link up with the Goldfields Trail from Jubilee Lake and walk into Daylesford. Visit in autumn and experience the changing colours of the trees surrounding Jubilee Lake. 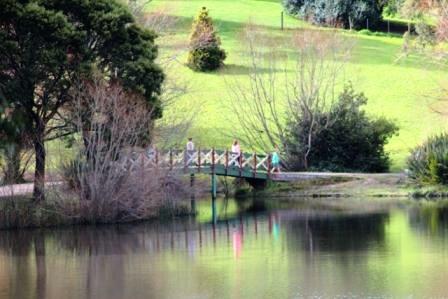 Take in the sights of Lake Daylesford by taking the ‘Peace Mile’ walk around the perimeter of the lake. 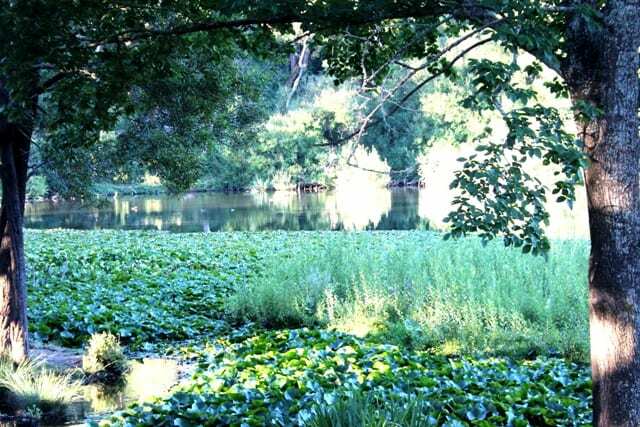 This is a gentle loop walk along a well maintained path and boardwalk, with beautiful views across the lake. You will finish your walk with a feeling of peace and serenity. Feeling like something longer? 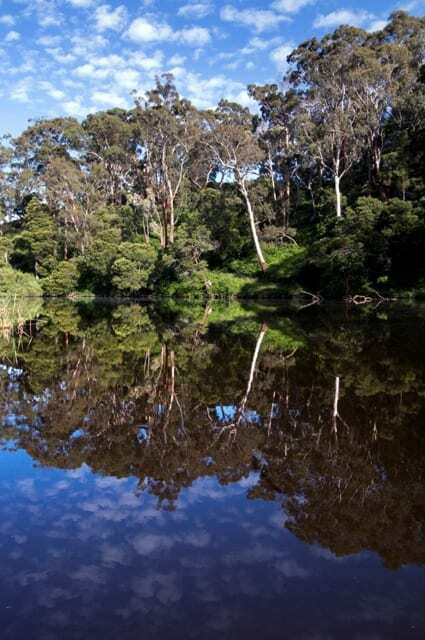 Follow the trail down to Central Springs Reserve and continue along the Goldfields Track which leads to Hepburn Springs or Sailors Falls. 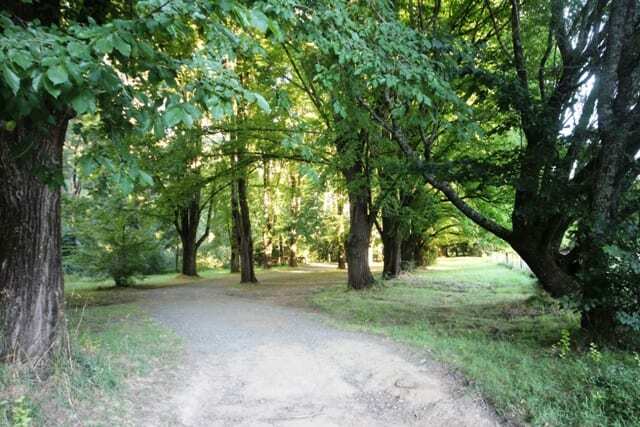 Situated on the shore of Lake Daylesford, Wombat Flat is only a short walk or drive from the town centre. Surrounded shady trees, grassy banks and inquisitive geese, Wombat Flat Spring is a great spot for a picnic. Don’t forget to take a bottle to sample some of the regions famous ‘healing’ mineral water. Driving into Daylesford you will notice the spectacular sycamore trees lining the roads. These tress reflect the seasons, with stunning autumn colours, the bright greens of spring, the bare branches of winter and the muted tones of summer. The Daylesford Avenue of Honour was planted to commemorate the First World War in 1918. They line Daylesford - Malmsbury Rd, a section of the Midland Hwy and Raglan Street.